After plans to live in Africa shatter, young journalist Laurie Sarkadi moves to the Subarctic city of Yellowknife seeking wilderness and adventure. She covers the changing socio-political worlds of Dene and Inuit in the late 80s – catching glimpses of their traditional, animal-dependent ways – before settling into her own off-grid existence in the boreal forest. There, she experiences motherhood and its remarkable synchronicities with the lives of caribou, dragonflies, and other creatures. As a mother and as a journalist, Sarkadi speaks up for abused women and children, creating controversies that entangle her in long, legal battles. When she looks to animals and the natural world for solace, she encounters magic. Lessons from the natural world arrive weekly, if not daily: black bears roam her dreams, as well as her deck, teaching introspection; wolves inspire her to persevere. Toronto Foundation named Voice in the Wild to its curated list of 10 non-fiction books that reflect on what it means to be Canadian and how we can make this country a better place. Further praise for the memoir can be found on CBC Books, Edmonton Journal, and Uphere Magazine. Previously, Sarkadi worked briefly as a policy analyst for the territorial Department of Aboriginal Affairs at the Beaufort-Delta and Deline self-government negotiating tables, then began a 16-year career with CBC North radio and television. As producer of the all-Inuktitut daily news show “Igalaaq,” she earned a CBC English Television Award for “Living Hope,” a ground-breaking live, interactive special on suicide prevention in Nunavut. She’s written and produced for CBC’s “The National” and “The Current” and was production manager in Canada for ZED’s feature-length documentary Ice Diamonds, by Paris-based director Jean Queyrat. Nowadays, she edits the hyper-local Yellowknife magazine EDGE YK and fronts the dance band Wake Up Hazel. 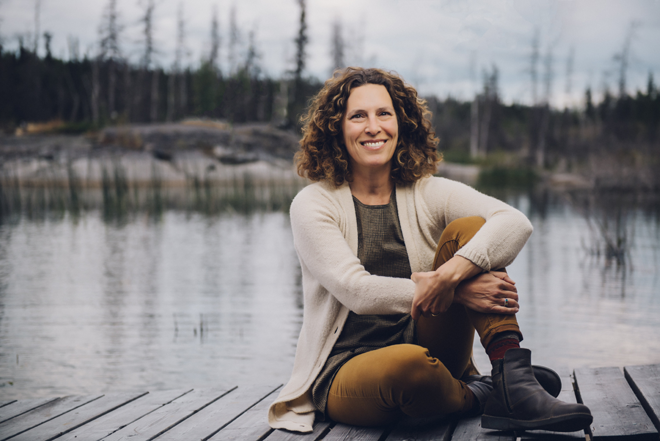 Her non-fiction has appeared in Canadian Geographic, The Globe and Mail, thewalrus.ca, and the anthologies, Dropped Threads 3 and Kitchen Talk. She lives off-grid in the Northwest Territories with her husband and has three sons. 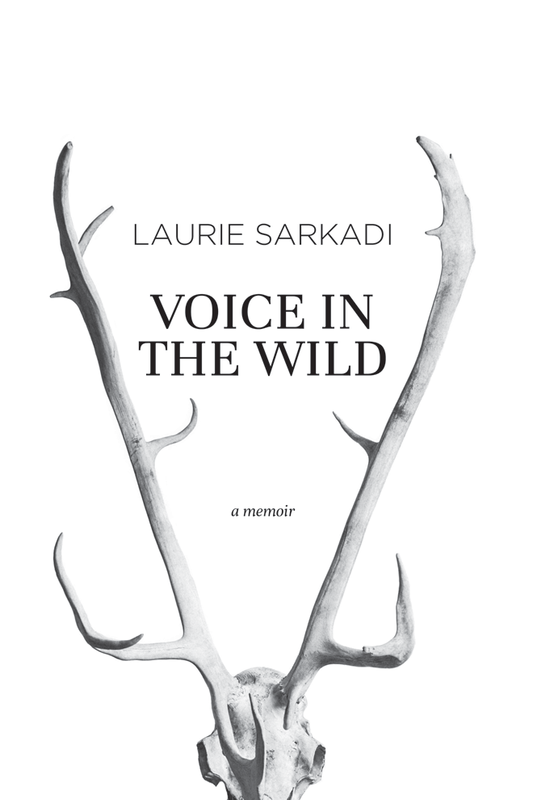 Readers of Voice in the Wild can expect a fascinating follow-along of Sarkadi’s life as she transitions from various roles in her life—roles that are shared by many of us all over Canada and the world. As a friend, parent, and a support to her community, she witnesses Planet Earth style occasions of natural wonder only to relay these episodes to the reader before weaving them in and out of the experiences of those around her. Dreamlike instances of migrating caribou, a wandering mother bear, even swarming bees are all lessons waiting to be unpacked and passed along. This is a book to be read and re-read, lent out to a friend and then re-bought as your own keepsake. Available in stores and online now. More info at caitlin-press.com.